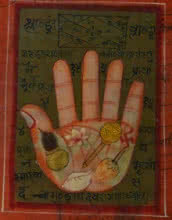 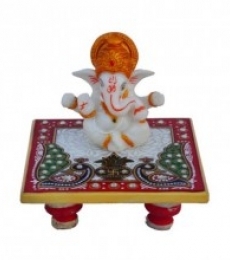 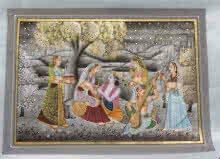 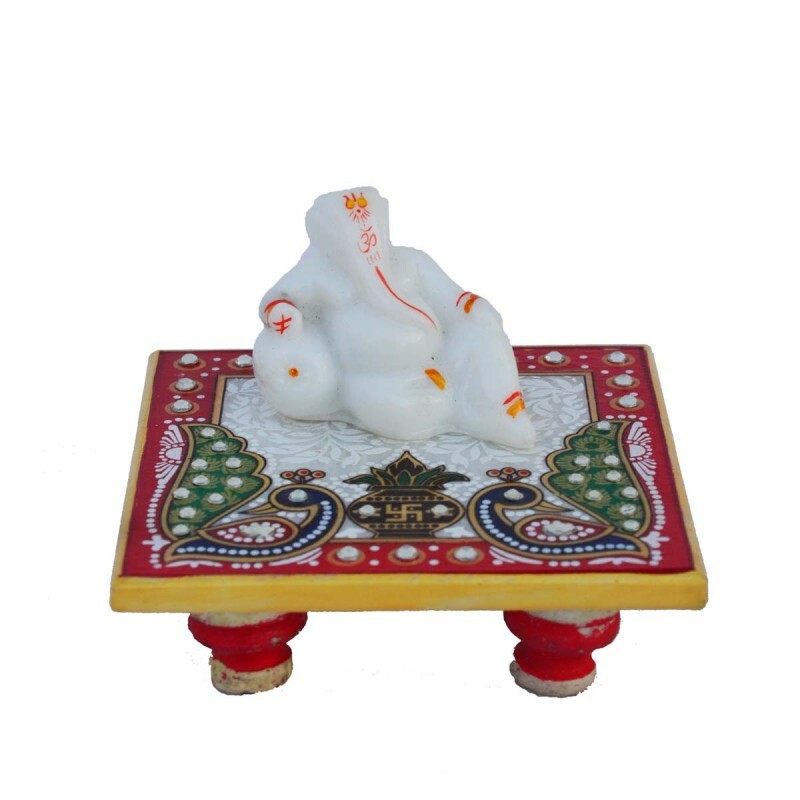 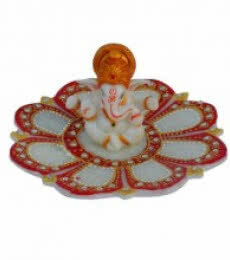 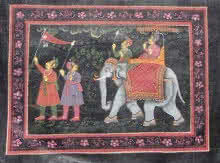 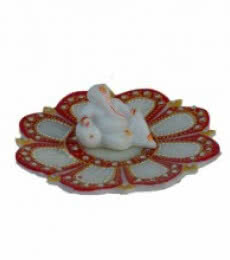 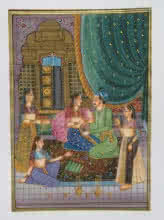 Ganesha on marble chowki that is beautifully handcrafted with Green and Red color and studded with white crystals. 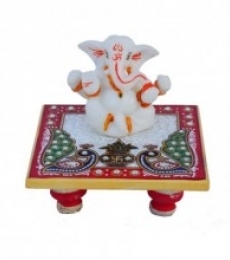 Ganesha chowki surely brings blessing and happiness to your home. 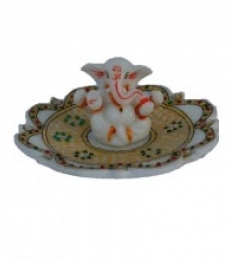 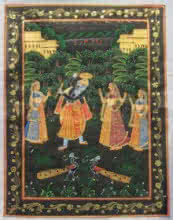 For its incredible appeal, it serves as a great gift for your loved ones.